Data affirms the Company’s efforts to provide its customers with the fastest, most reliable mobile and fixed-line networks in the region. MTS has been the leader in the Russian market in promoting data use by its customers through the active build out of its 3G/LTE data networks and the use of its retail platform to migrate customers from feature to smartphones. Overall, MTS works to ensure that its customers have the best connectivity experience in their homes, workplaces and points in between. Digital means not only expanding MTS presence in other areas beyond telecommunications through development of innovative digital products in fintech, Internet of Things, BigData, system integration, OTT and e-commerce, but also incorporating digital technologies into our operations including building a new generation of IT environment, changing in customer interaction processes, developing a flexible and proactive corporate culture. 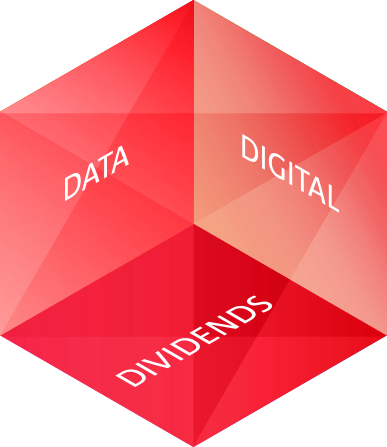 Dividends confirm the Company’s commitment to continuous improvement in the operational efficiency of the Company and enhancement of shareholder returns. Through a prudent operational approach, stable investment programs and opportunistic debt management, MTS has been able to steadily improve cash flows and reduce its balance sheet obligations. This allows MTS to reaffirm its commitment to its long-term practice of paying out a significant portion of its free cash flow in the form of dividends to its shareholders. MTS presented its updated 3D Strategy on its Investor Day in London in March 2017. You can download the presentation and watch video from the event here.